Innovators: These institutions specialize in the study and production of transgenic animals. Jackson Laboratory: Jackson Laboratory is an independent, nonprofit research institution that specializes in biomedical research, and is a designated NCI-Cancer Center. One of the areas that the Jackson Lab highlights is mouse genetics, because of the similarity between the genetic code of humans and mice. The Jackson Lab has specialized in creating transgenic mice known as the JAX mouse. The Jackson Lab has worked tirelessly to create several kinds of mice that serve as models to specific disease. JAX mice are selectively bred to ensure that they express the genes necessary for a model organism. These mice are very popular with other research institutions and have proved to be a powerful tool in the study of medicine, pharmacology, genetics and genomics. 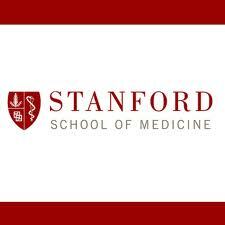 Stanford University: The Stanford University School of Medicine and Cancer Institute have helped support the Stanford Transgenic Mouse Research Facility. This institute specializes in producing transgenic and knockout mouse models. This facility also uses transgenics to create in vivo animal tumor models that are used in preclinical oncology trials. Studies on these tumors consist of drug testing, toxicology studies, study of design and model and data collection. The Transgenic Research Center is a institution created solely to study transgenics, research facilities like these are becoming increasingly popular as transgenics evolves. 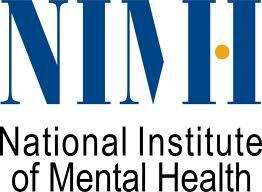 National Institute of Mental Health: The NIMH in collaboration with the NIH has created the Transgenic Core Facility that specializes in using transgenic mice to study the genetics of neurological diseases. This facility creates transgenic models of neurological diseases that they can then do research on. The scientists at this establishment follow cells through development, experiment on the implications of gene expression, and how turning a certain gene on or off affects the organism. Therapies are also tested and evaluated on the mice, this helps the facility come up drugs and solutions to these neurological diseases in humans.